Happy May! I'm so glad it's a new month and we're one step closer to summer. I feel like I've been treading water the past few months and now it's time to step into action. 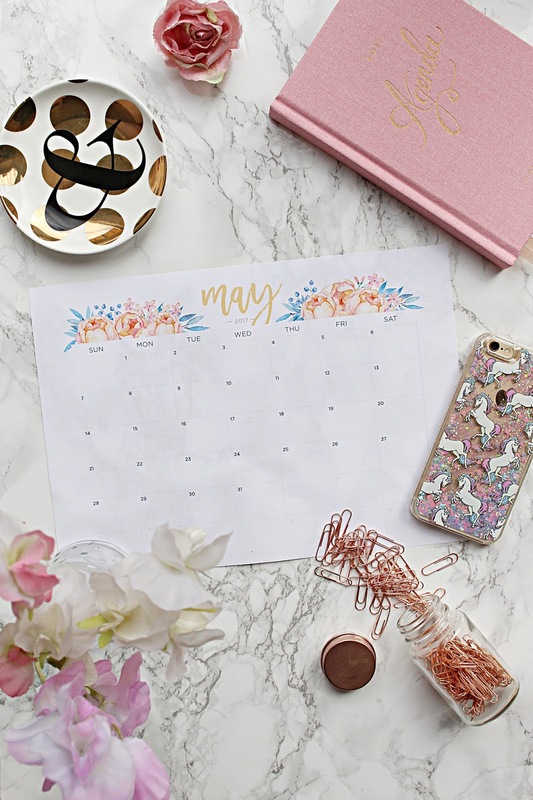 That being the case, I thought I'd put together a post outlining my goals for May, to help me achieve them. Since I started working from home my routine has been a little bit all over the place, and it's definitely not doing my well-being much good. I'm determined to get some structure back in my life in order to juggle work with blogging, the gym, eating healthy, self-care and everything else that life involves! I'm trying to plan out my days and meals in advance so that I don't stray from a proper routine, so fingers crossed it'll work! Speaking of routines, I desperately need to get back into a routine with my blog. This year I've really let things slip in terms of blogging and I feel so bad about it. I have a re-brand and layout planned, I just need to get the wheels in motion and then I'm hoping things will be a lot busier around here! I've been getting really frustrated with my blog photography and just generally feeling a bit down about things which has meant I've not felt motivated at all, but I feel like I can't let that bring me down. So, all being well you'll be seeing much more regular posts around here going forward. I joined a new gym at the beginning of the year and have been going fairly regularly ever since, but I feel like it's time to take it up a notch. I've been going around 2-3 times a week but I'd like it to be more like 4-5 times a week from now on, and I also want to try going to some regular classes. I tried Clubbercise at the start of the year and really enjoyed it, but haven't been since. I'm going to make time in my week so that I can go to some classes, as I actually really enjoy exercise and the buzz it gives you afterwards! Oh my god, I am the world's worst YouTuber. Ever. The same as I haven't really felt motivated with my blog, I've not felt motivated with making videos either, so things have really slipped there too. I'm forever planning content but not seeing it through, which has got to stop. I have a couple of videos lined up, I just need more inspiration when it comes to filming as I feel like I'm nowhere near as good as the other amazing YouTubers out there - but maybe it's time to just think 'Sod it' and go for it anyway. I feel really inspired to get updating my home interior-wise at the moment, probably due to a few too many hours browsing on Pinterest! I love my home, but I feel like there are a few little touches that I need to add to make it perfect. My makeup space, for one, definitely needs working on, so I think that's what I'll be starting with. I'll of course make sure I share it with you guys once I'm happy with it! What are your goals for the month of May? I'd love to hear!